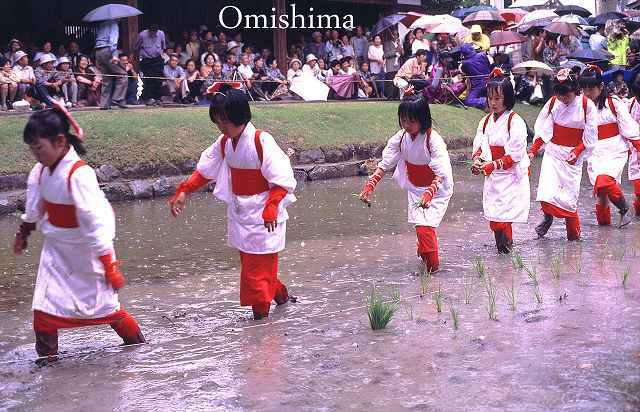 Omishima Otauesai is an important rice planting festival at the Oyamazumi Shrine, which used to be a place of worship for pirates between the twelfth and sixteenth centuries. 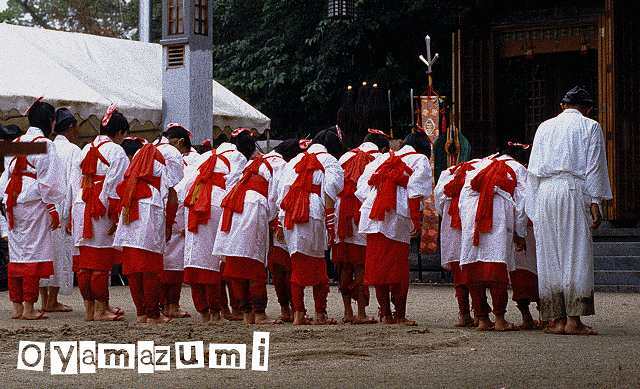 Oyamazumi is the great god of mountains who protects people working in the mountains and brings sufficient water to farmers. 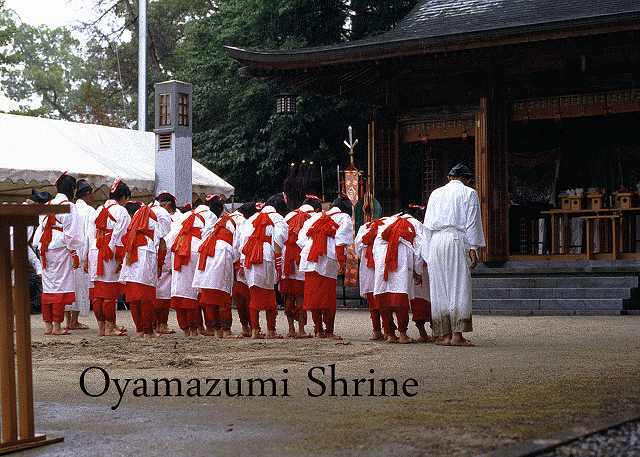 By and by, the deity began to be considered the patron god of the whole Japan attracting emperors, lords and warriors. 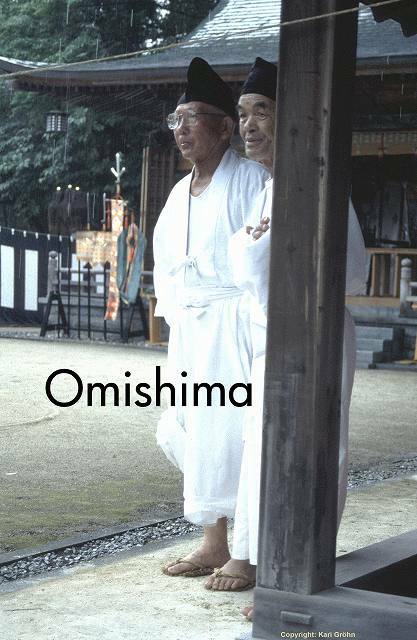 Those who had had their prayers answered revisited Omishima and presented fine offerings to the god. 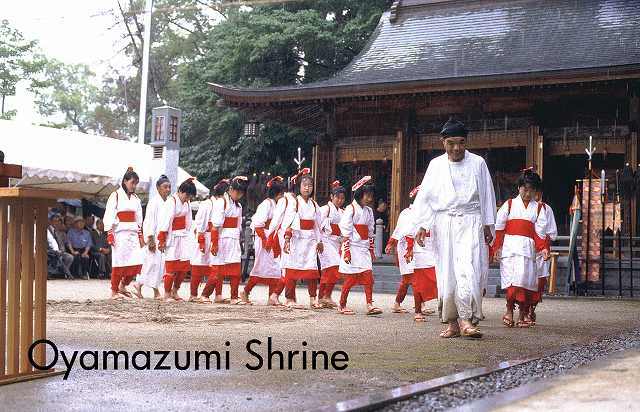 So, the shrine’s collection of arms and armours is best in Japan. Both husband and wife should go to this shrine together since its god is jealous. 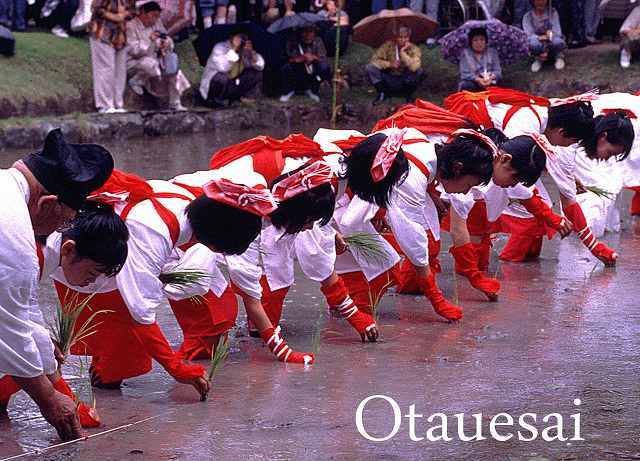 He is the elder brother of Amaterasu who is the highest goddess of the heaven. 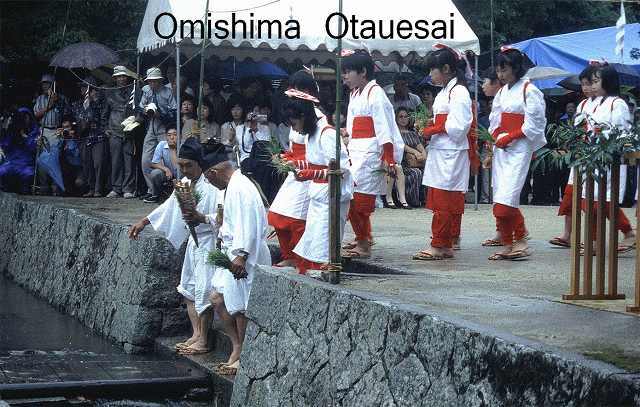 Amaterasu’s grandson Ninigi married Oyamazumi’s daughter whose son became the father of Japan's first Emperor Jimmu (660-585 BC). 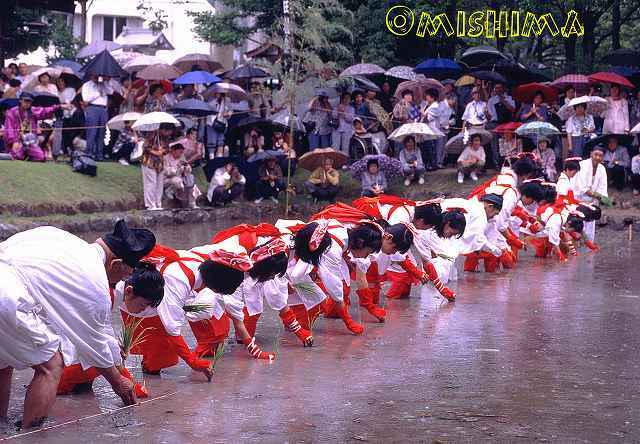 The messenger of Oyamazumi is an eel that is hatched in mountain streams.. 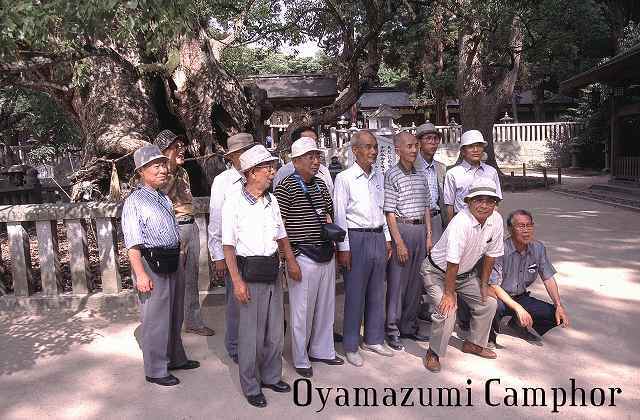 In front of the time-honoured Oyamazumi Shrine there is a 2,600 years old camphor tree.